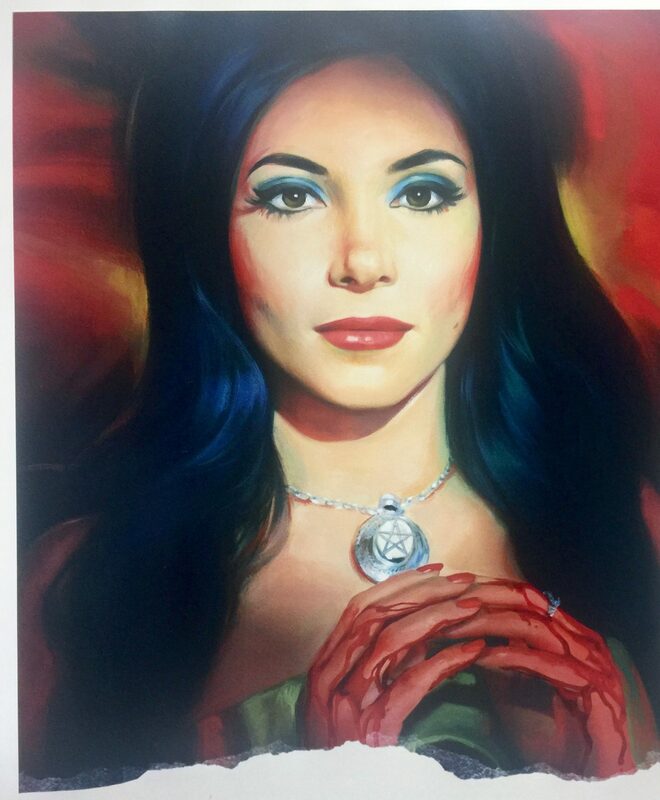 The Love Witch is a 2016 film written and directed by Anna Biller. 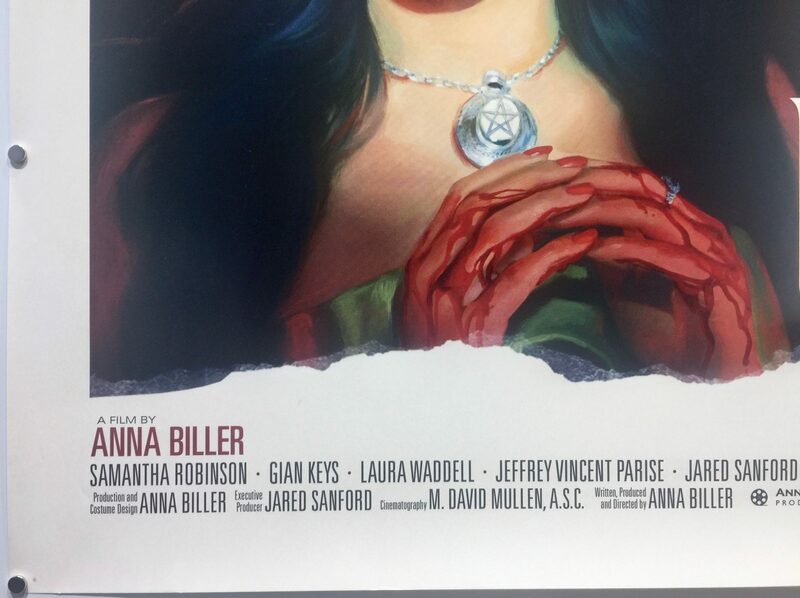 It stars Samantha Robinson, Gian Keys, Laura Waddell, Jeffrey Vincent Parise, Jared Sanford, Robert Seeley and Jennifer Ingrum. 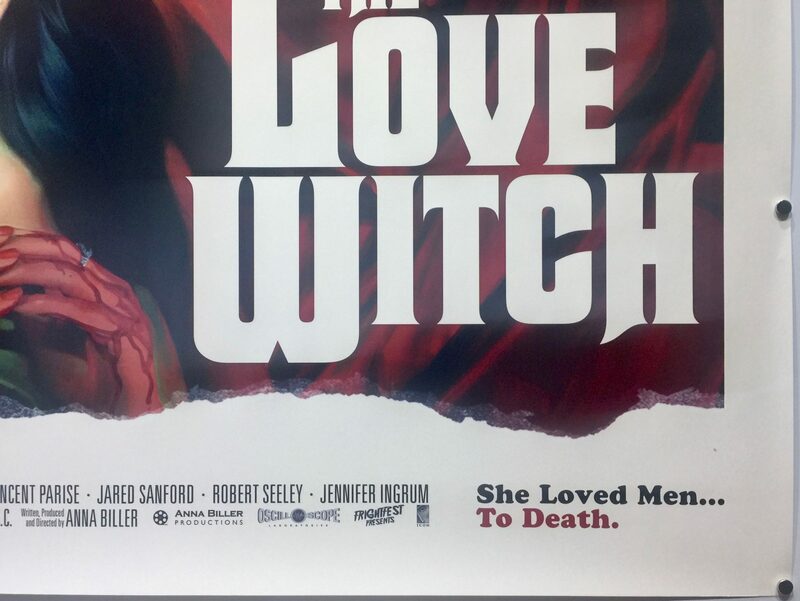 The storyline is based on Elaine, a beautiful young witch who start a new life after the death of her husband Jerry. 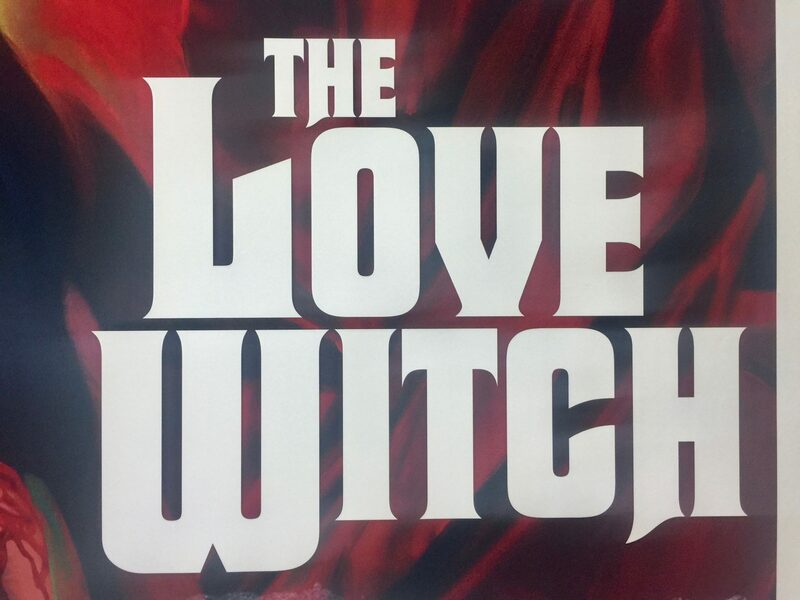 She uses spells and magic to get men to fall in love with her with disastrous results. 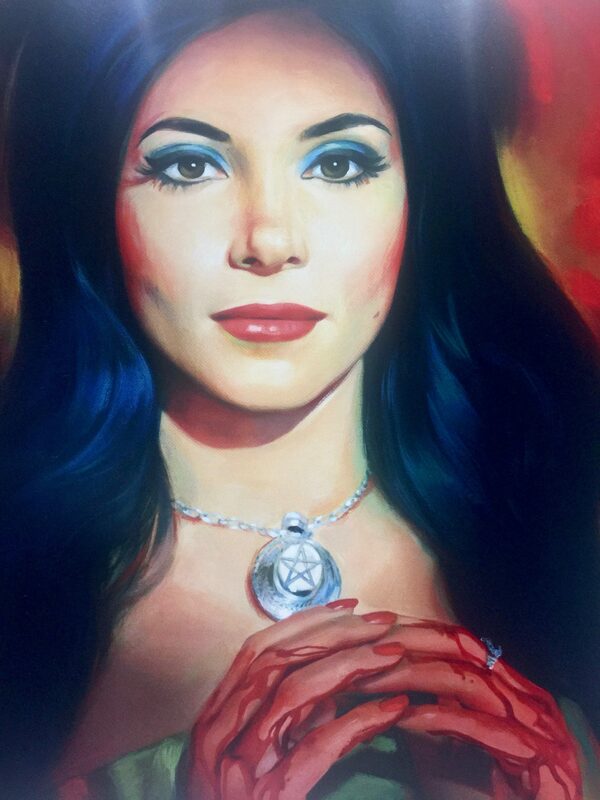 The Love Witch uses the figure of the witch as a metaphor for women in general, as both an embodiment of men’s fears of women, and of women’s own innate powers of intuition and as mothers and sorceresses. 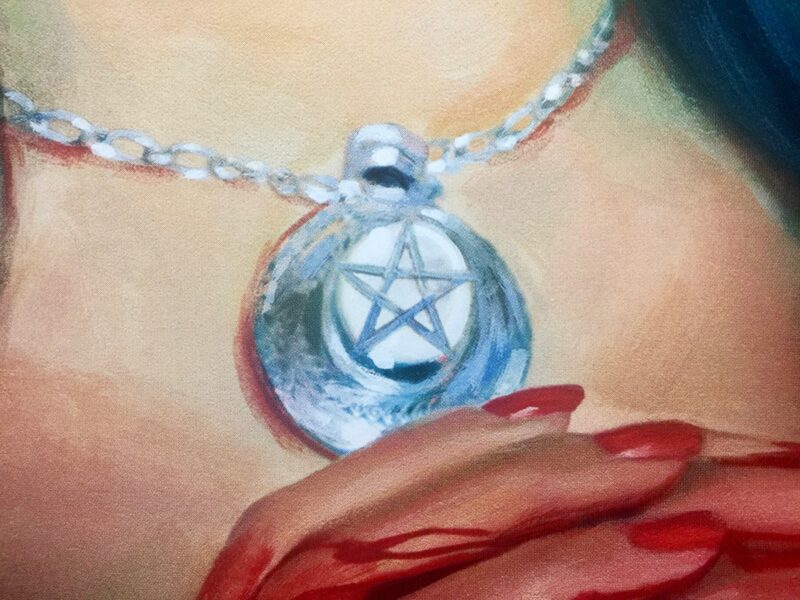 The character of Elaine is an examination of the femme fatale archetype. 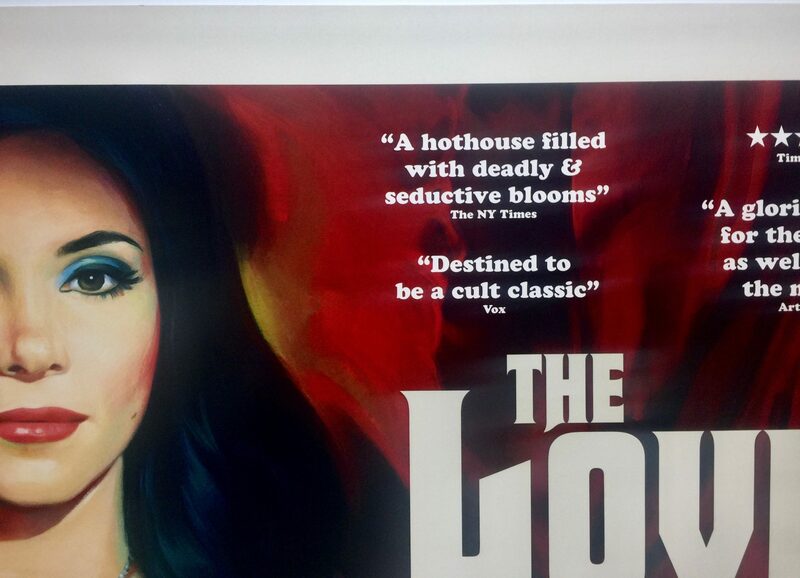 The film embraces the camp of 1960s horror, examining issues of love, desire, and narcissism through a feminist perspective. 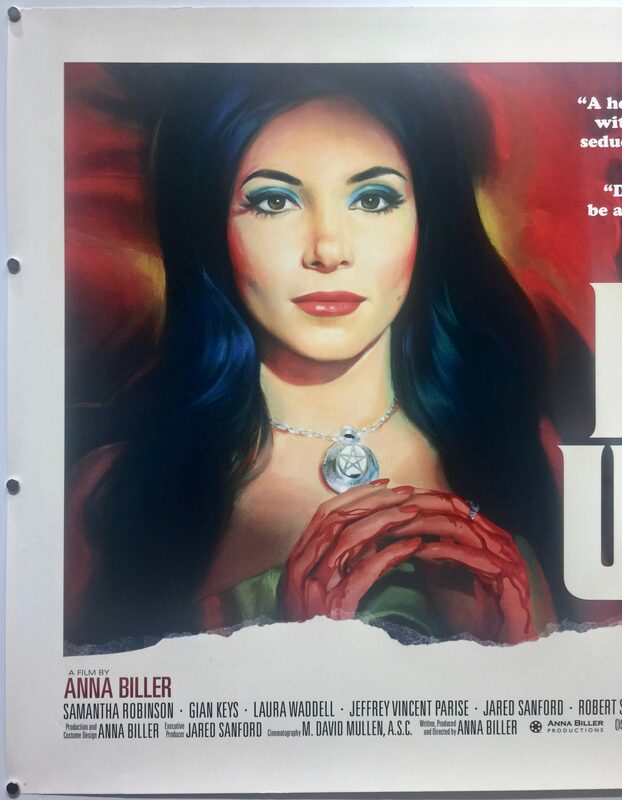 Anna Biller is a feminist filmmaker whose take on cinema is influenced by feminist film theory. 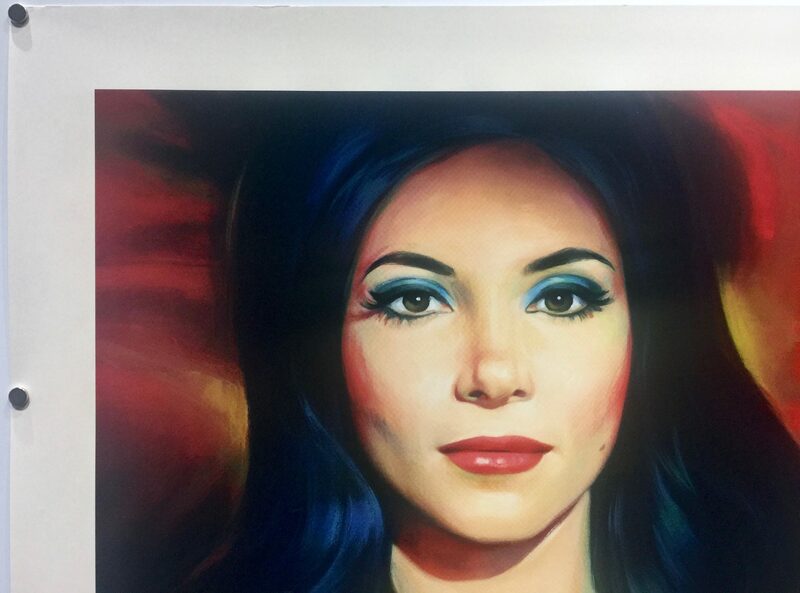 The Love Witch was shot on 35mm film and printed from an original cut negative, one of the last films to use this technique. 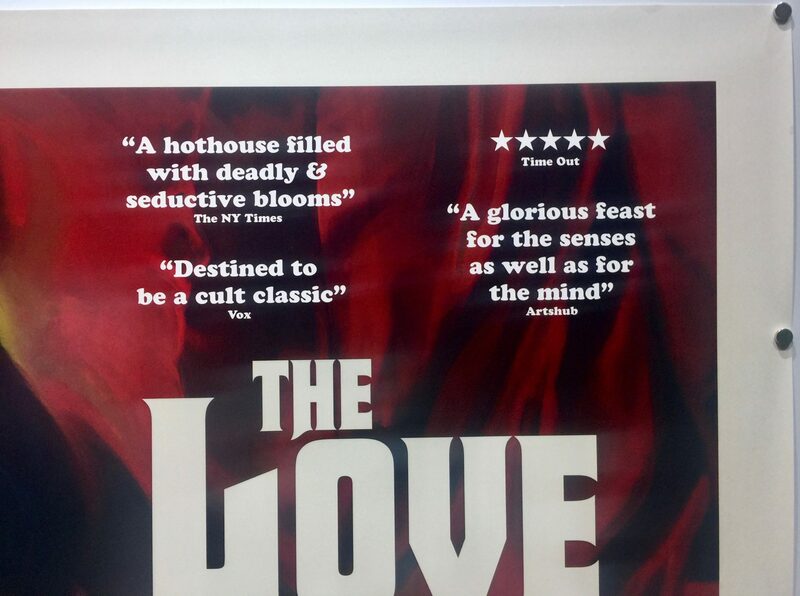 When it was presented at the 2016 International Film Festival Rotterdam it was the only new (non-repertory) feature film on 35mm film. It was shot and lit in a way to look like a 1960s Technicolour film, although the story is set in the present day and features modern cars and mobile phones. 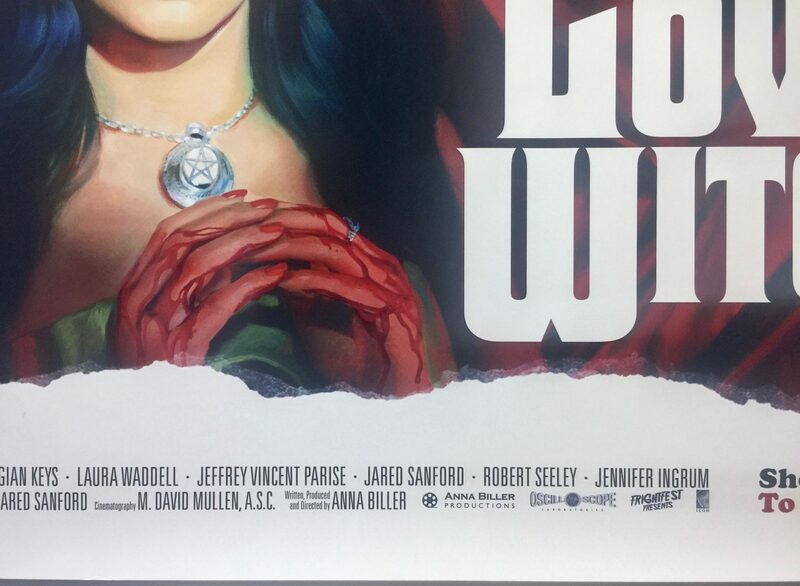 It is highly stylised with an elaborate set and costume design and a colour palette to match the aesthetic of Technicolor and emulate the style of classic Hollywood films. For the driving scenes, rear-projection photography was used to give glamour to the lead actress, and in tribute to the opening of the Hitchcock movie The Birds. 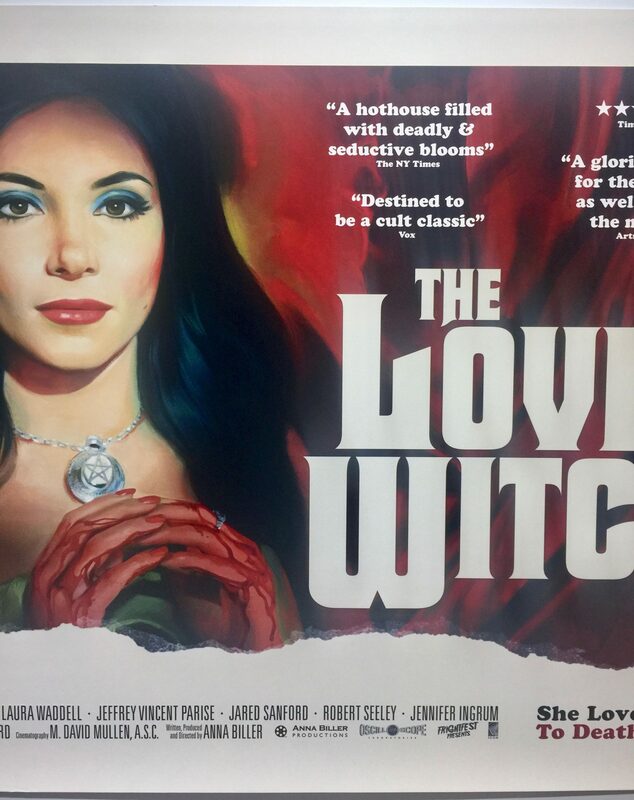 When The Love Witch was released it received positive reviews from critics. 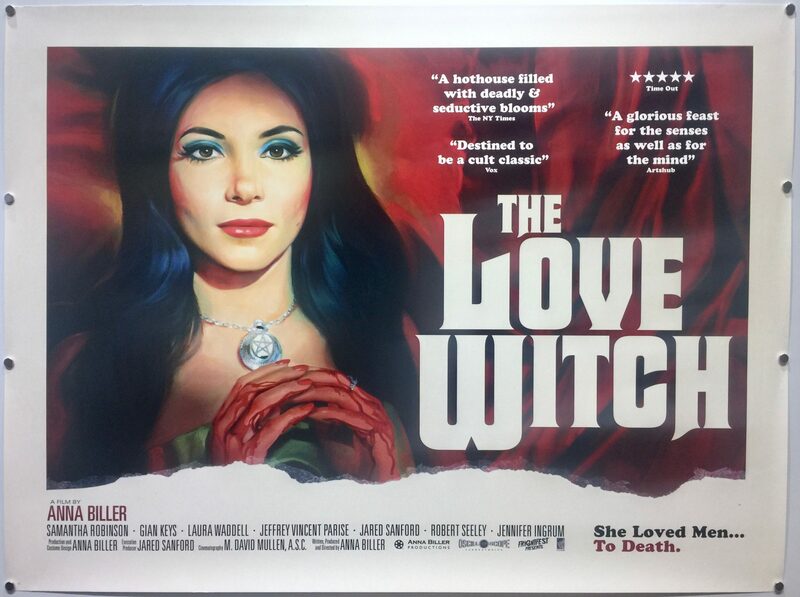 The consensus on Rotten Tomatoes reads: “The Love Witch offers an absorbing visual homage to a bygone era, arranged subtly in service of a thought-provoking meditation on the battle of the sexes.” A. O. Scott from The New York Times wrote “Ms Biller’s movie, like its heroine, presents a fascinating, perfectly composed, brightly coloured surface. 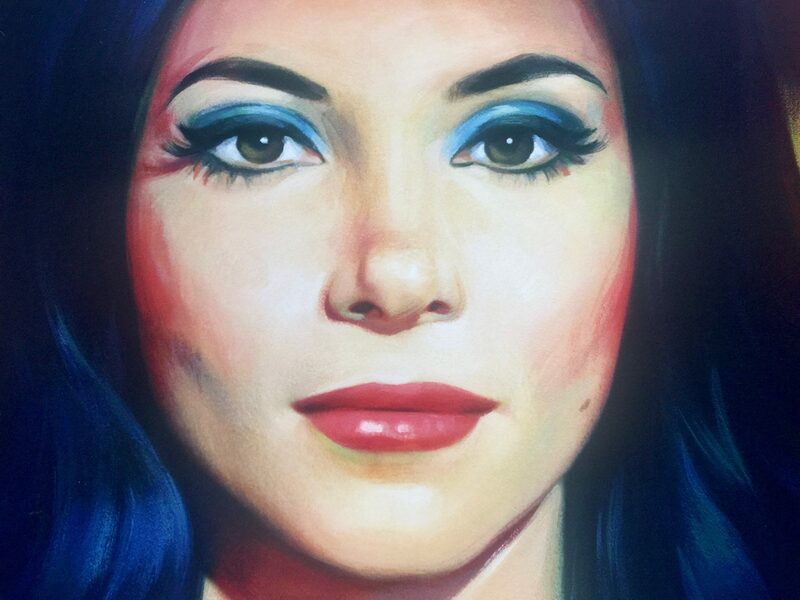 What’s underneath is marvellously dark, like love itself.”. 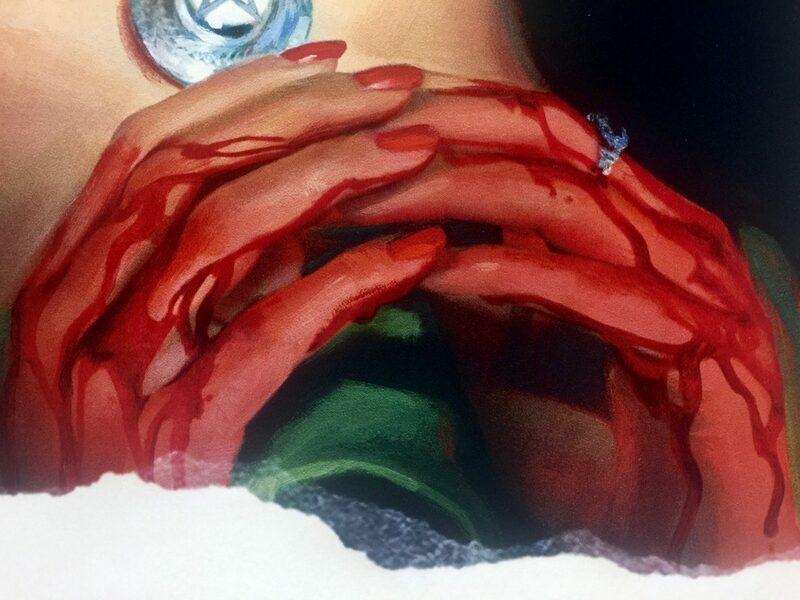 Overall praise was made for its playful tribute to 1960s horror and Technicolor films, combined with its serious inquiry into contemporary gender roles. Financially, I am unable to determine whether the film was a success due to not being able to find an estimated production budget. 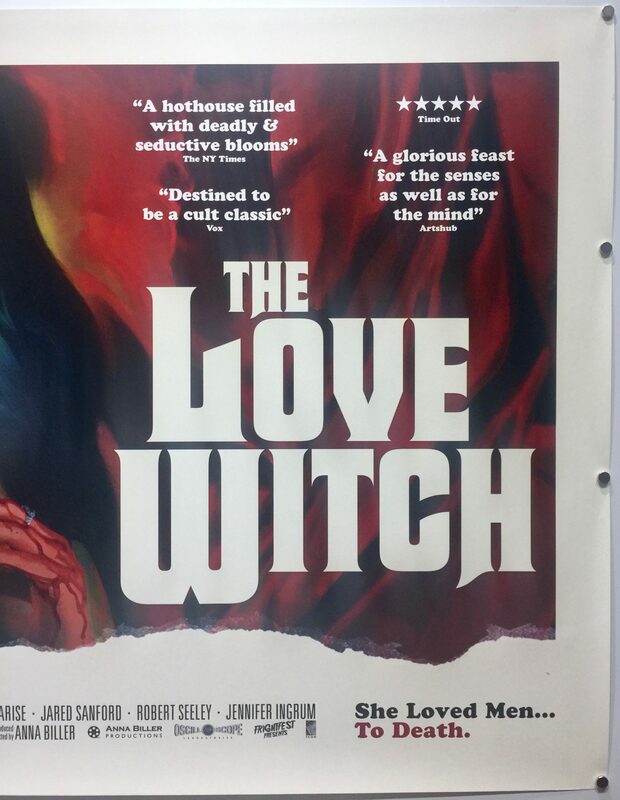 However, in its opening weekend The Love Witch took $160,747 and $228,894 in total gross box office receipts in the US. 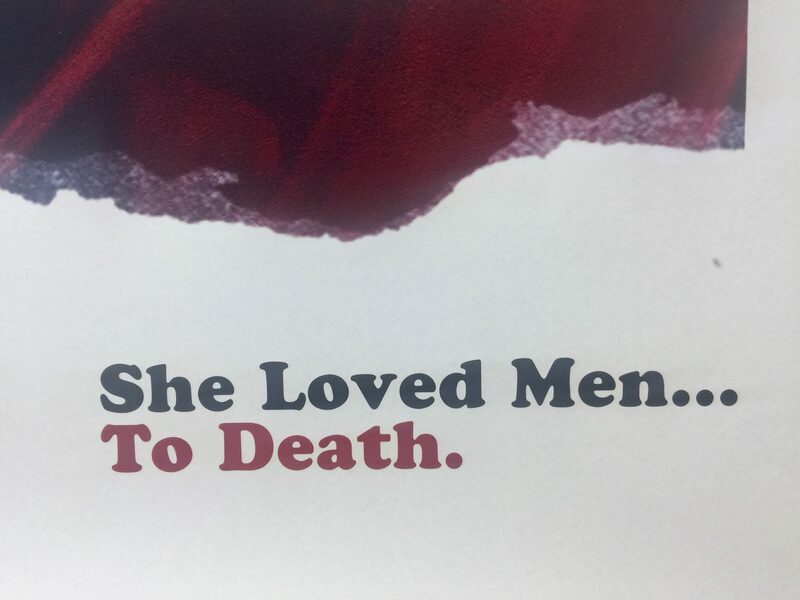 She Loved Men… To Death.